Needy families and individuals receive small grants through nonprofit agencies. Our goal is to help meet client needs before they spiral downwards. LAH works in partnership with advocates and case managers at greater Boston area nonprofit community organizations, hospitals, legal aid groups, religious organizations and government human service agencies. Grants to nonprofit camping agencies provide scholarships for children and teenagers. Most camperships are for inner city youth who benefit tremendously from the opportunity to attend creative, educational, recreational and nurturing camps outside the city. 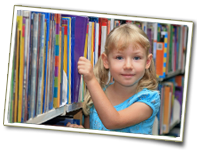 Grants are made to nonprofit organizations, schools and colleges for the purchase of books for their lending libraries and educational programs for children and adults to promote literacy and the love of books. A working couple with 2 children working with Roxbury Multi-Service Center, struggled to pay their utility bill and lost power in their apartment. The LAH helped restore their electricity so the kids were able to do homework and the family could cook their meals.